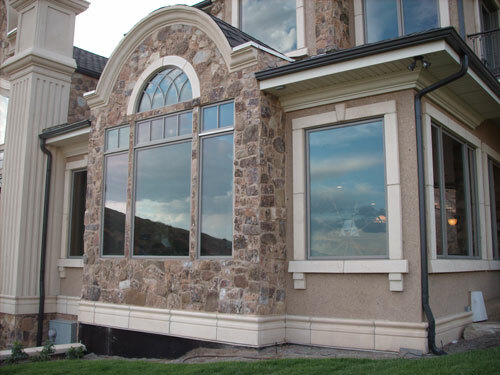 Precast concrete wainscot panels are used around the base of stucco buildings and homes to add variety to the exterior as well as provide a long-lasting base for protection to the stucco. They enhance the architectural design of the unit. Luttmer wainscots are used around the base of this house. 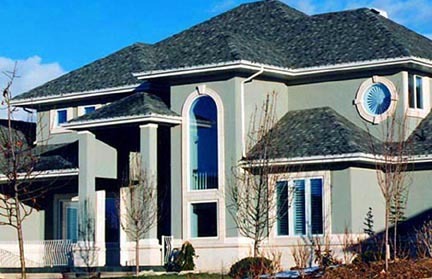 Wainscots are available in these standard colors and other desired colors. Colors may vary depending on monitor resolution.